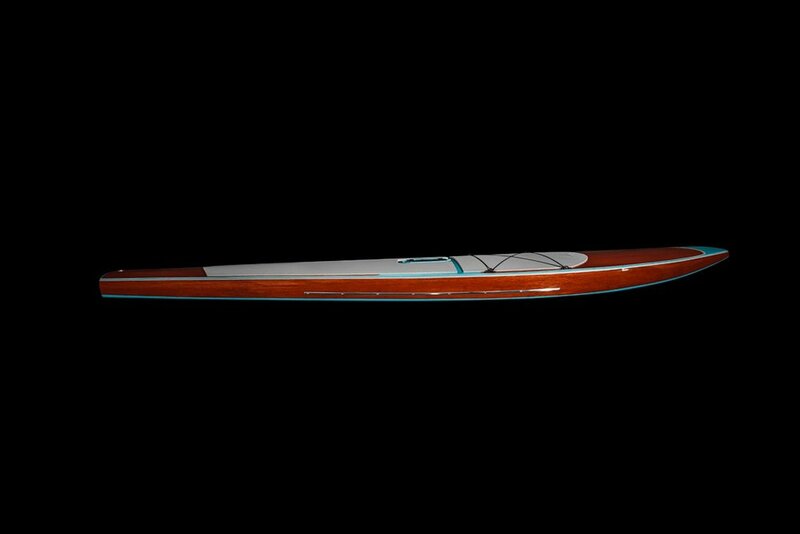 The Speakeasy is built for an all-day water exploration or relaxation on this yoga style board. 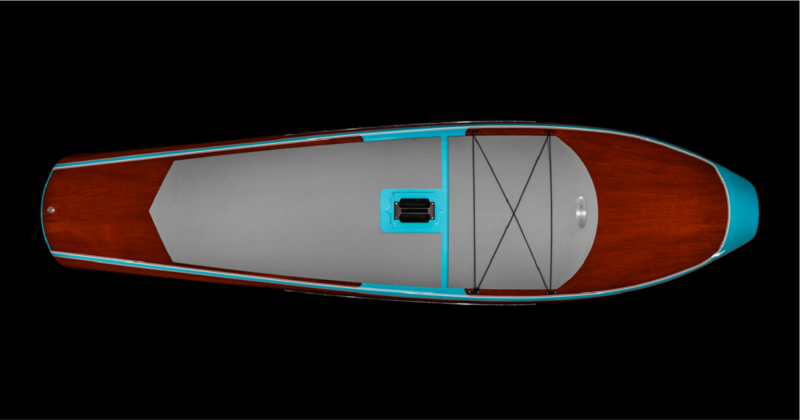 With it’s signature barrel back design, reminiscent of pre-war Chris Craft runabouts, The Speakeasy will demand on the water attention. It’s vintage design is made with modern construction methods. 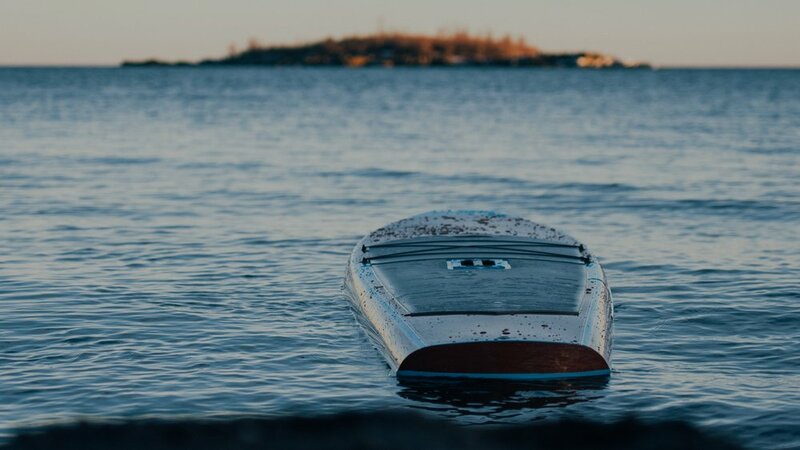 Built in all mahogany wood with hollow core construction, there are also tie downs for a medium size cooler or personal items and an extra large stand pad for you to nap or paddle the day away. 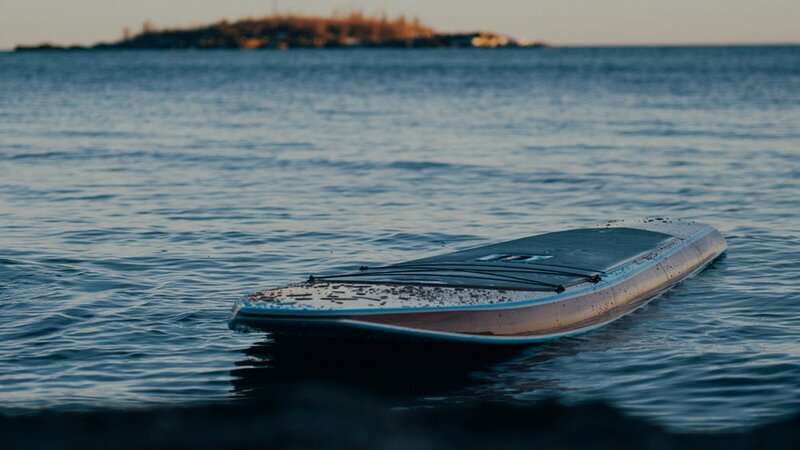 Built from the highest grade mahogany marine plywood money can buy, The Speakeasy is sleek and takes advantage of the finest techniques in woodcraft. They are built with more than 75% of marine grade plywood, this assures minimal-to-zero wood expansion due to weather and temperature change. No splitting or cracking of wood. And most importantly a smaller footprint on deforestation and wood waste. Philippine mahogany is cold-molded for the rail shape using bead and cove joinery.